According to some very important internal Mozilla documents, that were possibly accidentally or intentionally leaked, or potentially stolen and put online, Firefox Mobile (almost everyone’s favourite web browser) will be gracing Windows Mobile with its presence next month. And there’s not just one version, there’s two – one for non-touchscreen users and a version for touchscreen mobiles. 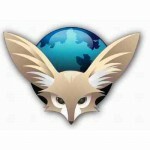 These internal documents state, Firefox Mobile, or Fennec as it’s officially known, will be joining the Windows Mobile operating system team, as of next month. Well, in the first week of February, which actually makes it next week. It’s first target – the HTC Touch Pro. The time – the first week of February. The place – Windows mobile. It’s rivals – Opera Mini and Opera Mobile. If you’re kicking yourself for opting for a Nokia over the HTC Touch Pro on your last upgrade, fear not, it’s expected to roll out onto other Windows mobiles over the forthcoming months. So long Photoshop! Sumo Paint provides identical editing software for free online!